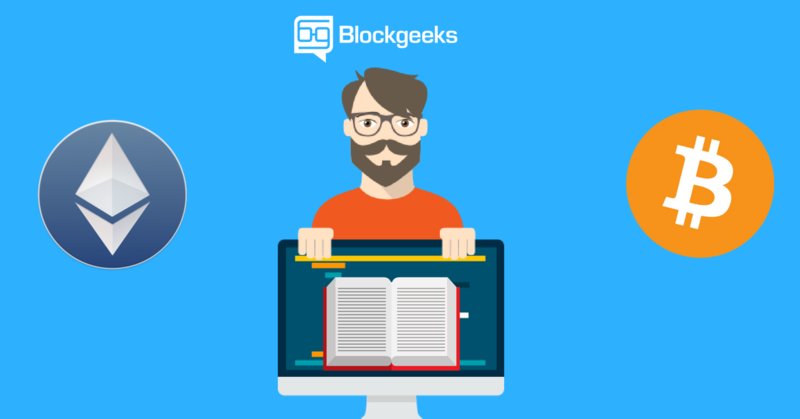 This post serves as a simple and yet comprehensive Blockchain glossary to the refreshing world of blockchain language. When more than half of the computing power of a cryptocurrency network is controlled by a single entity or group, this entity or group may issue conflicting transactions to harm the network, should they have the malicious intent to do so. Cryptocurrency addresses are used to send or receive transactions on the network. An address usually presents itself as a string of alphanumeric characters. Short form for ‘Application Specific Integrated Circuit’. Often compared to GPUs, ASICs are specially made for mining and may offer significant power savings. Bitcoin is the first decentralised, open source cryptocurrency that runs on a global peer to peer network, without the need for middlemen and a centralised issuer. Blocks are packages of data that carry permanently recorded data on the blockchain network. Block explorer is an online tool to view all transactions, past and current, on the blockchain. They provide useful information such as network hash rate and transaction growth. The number of blocks connected on the blockchain. A form of incentive for the miner who successfully calculated the hash in a block during mining. Verification of transactions on the blockchain generates new coins in the process, and the miner is rewarded a portion of those. A ledger maintained by a central agency. The successful act of hashing a transaction and adding it to the blockchain. Consensus is achieved when all participants of the network agree on the validity of the transactions, ensuring that the ledgers are exact copies of each other. Also known as tokens, cryptocurrencies are representations of digital assets. Cryptographic hashes produce a fixed-size and unique hash value from variable-size transaction input. The SHA-256 computational algorithm is an example of a cryptographic hash. A decentralised application (Dapp) is an application that is open source, operates autonomously, has its data stored on a blockchain, incentivised in the form of cryptographic tokens and operates on a protocol that shows proof of value. Distributed ledgers are ledgers in which data is stored across a network of decentralized nodes. A distributed ledger does not have to have its own currency and may be permissioned and private. A type of network where processing power and data are spread over the nodes rather than having a centralised data centre. This refers to how easily a data block of transaction information can be mined successfully. A digital code generated by public key encryption that is attached to an electronically transmitted document to verify its contents and the sender’s identity. Double spending occurs when a sum of money is spent more than once. Ethereum is a blockchain-based decentralised platform for apps that run smart contracts, and is aimed at solving issues associated with censorship, fraud and third party interference. The Ethereum Virtual Machine (EVM) is a Turing complete virtual machine that allows anyone to execute arbitrary EVM Byte Code. Every Ethereum node runs on the EVM to maintain consensus across the blockchain. Forks create an alternate version of the blockchain, leaving two blockchains to run simultaneously on different parts of the network. A type of fork that renders previously invalid transactions valid, and vice versa. This type of fork requires all nodes and users to upgrade to the latest version of the protocol software. The act of performing a hash function on the output data. This is used for confirming coin transactions. Measurement of performance for the mining rig is expressed in hashes per second. A hybrid PoS/PoW allows for both Proof of Stake and Proof of Work as consensus distribution algorithms on the network. In this method, a balance between miners and voters (holders) may be achieved, creating a system of community-based governance by both insiders (holders) and outsiders (miners). Mining is the act of validating blockchain transactions. The necessity of validation warrants an incentive for the miners, usually in the form of coins. In this cryptocurrency boom, mining can be a lucrative business when done properly. By choosing the most efficient and suitable hardware and mining target, mining can produce a stable form of passive income. Multi-signature addresses provide an added layer of security by requiring more than one key to authorize a transaction. A copy of the ledger operated by a participant of the blockchain network. Oracles work as a bridge between the real world and the blockchain by providing data to the smart contracts. Peer to Peer (P2P) refers to the decentralized interactions between two parties or more in a highly-interconnected network. Participants of a P2P network deal directly with each other through a single mediation point. A public address is the cryptographic hash of a public key. They act as email addresses that can be published anywhere, unlike private keys. A consensus distribution algorithm that rewards earnings based on the number of coins you own or hold. The more you invest in the coin, the more you gain by mining with this protocol. A consensus distribution algorithm that requires an active role in mining data blocks, often consuming resources, such as electricity. The more ‘work’ you do or the more computational power you provide, the more coins you are rewarded with. Scrypt is a type of cryptographic algorithm and is used by Litecoin. Compared to SHA256, this is quicker as it does not use up as much processing time. SHA-256 is a cryptographic algorithm used by cryptocurrencies such as Bitcoin. However, it uses a lot of computing power and processing time, forcing miners to form mining pools to capture gains. Smart contracts encode business rules in a programmable language onto the blockchain and are enforced by the participants of the network. A soft fork differs from a hard fork in that only previously valid transactions are made invalid. Since old nodes recognize the new blocks as valid, a soft fork is essentially backward-compatible. This type of fork requires most miners upgrading in order to enforce, while a hard fork requires all nodes to agree on the new version. Solidity is Ethereum’s programming language for developing smart contracts. A test blockchain used by developers to prevent expending assets on the main chain. A collection of transactions gathered into a block that can then be hashed and added to the blockchain. All cryptocurrency transactions involve a small transaction fee. These transaction fees add up to account for the block reward that a miner receives when he successfully processes a block. Turing complete refers to the ability of a machine to perform calculations that any other programmable computer is capable of. An example of this is the Ethereum Virtual Machine (EVM). A file that houses private keys. It usually contains a software client which allows access to view and create transactions on a specific blockchain that the wallet is designed for. Do you have a definition of “token”? Send me the definitions and I will add them in.